You’re pregnant, excited and so anxious about the arrival of your baby! Being pregnant is an amazing and blessed time in any woman’s life. You are probably consumed with a long list of baby items and products to buy. But what about you? Do you know the things every pregnant woman actually needs? 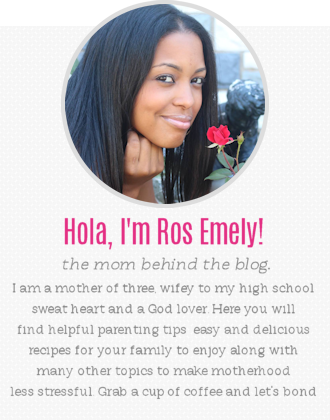 Want to know about the pregnancy must haves you didn’t know you needed? Yes girl! Besides the important and usual pregnancy essentials like taking your prenatal vitamins everyday, your comfortable pregnancy body pillow and morning sickness remedies. You need to check out the things every expectant mother needs. These are the pregnancy products you didn’t know you needed for an easier and more informed pregnancy. I’m sharing with you unique and extremely helpful list of pregnancy essentials. One of the things a pregnant woman needs during her pregnancy is this super helpful baby prep workbook. It is going to help you prepare for your baby by having things organized. This workbook is going to help you have ease of mind knowing that you have tackled everything before baby is born. With a comprehensive digital workbook for expectant moms, You’ll not only find worksheets such as registry and hospital bag checklists, but worksheets you may not have considered, such as a labor “game plan” with your partner and household items to stock up before the baby arrives. Grab it now! What do you need when pregnant? You need to take a childbirth class online! This couples online prenatal class is designed for you to have control over when and where you want to take it. You are going to get quick and accurate information about childbirth and everything you need to know about the birthing process. You can bond with your partner and can both be prepared for the arrival of your baby! Knowing what goes on during and after childbirth is going to provide you with peace of mind. Also, you’re not going to go into the delivery room clueless! If you want to have a stress free and relaxed pregnancy and birth. 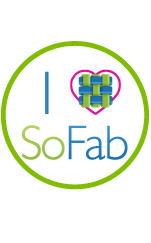 Check out the online prenatal class today! Are you planning on breastfeeding? Taking a breastfeeding class is so important for new moms who want to have useful information in order to have the best breastfeeding experience possible. This online breastfeeding class is so beneficial for moms who are struggling with producing enough milk, who want to succeed at breastfeeding and also want to create a peaceful and easier bonding experience with their baby. Taking an online breastfeeding class can help you so much. It gives you confidence, knowledge and motivation to have a happier, stress free breastfeeding experience. I say cheers to that mama! Are you expecting twins? Congratulations mama! I’m also a twin mama myself (boy/girl). I know how exciting and scary it is to find out you’re expecting twins! Like what!? I wish I had a go to twin guide that helped me feel at ease and ready to welcome twins into my life. This Expecting twins guide is super helpful if you’re scared and don’t know what to expect during your twin pregnancy. 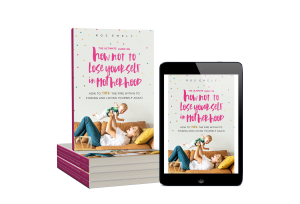 These are some of the things that you should expect in this wonderful resource, how to survive a twin pregnancy, how to prepare your family for life with twins, how to manage your finances, how to prepare for a twin birth and so much more helpful information! get it here! If your planning on breastfeeding your precious newborn, I recommend you take the online breastfeeding class (mentioned above) and this ultimate pumping class! This is not only great for moms going back to work, but it’s also extremely helpful for moms who want to rock at pumping! In this must take pumping class you are going to learn how to choose your perfect pump, how to create a safe milk storage, how to build a crazy freezer stash you’ll be bragging about. You’ll also learn, how to master your milk supply, things you’ll need at work, how to make plans with your employer to pump. And so much more! Start today! I love journals and keepsakes and had one for each of my pregnancies. I wrote things like, how my hubby and I met, how I found out I was pregnant and so many other memories about my pregnancy. This journal ” The Belly Book” is the first pregnancy book solely dedicated to you and your growing belly! It’s divided into the three trimesters and there’s even a page for you to write about your pregnancy cravings, morning sickness and more! Get it here! Here’s another great pregnancy journal option. 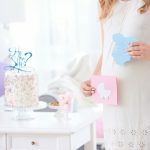 This one ” Bump to Birthday” where it focuses on your pregnancy and also your baby’s first year! You can track down your pregnancy experiences, your birth and life with baby! Write down every special milestone in this super cute combined pregnancy journal! Get it here girl! Are you planning on having a natural birth (no epidural)? Do not be afraid of what’s to come in during a natural birth because the Birth It Up course is going to teach you how to have the confidence and knowledge you need to Rock an epidural free birth. Given by a Labor and delivery nurse who also had a natural birth herself! Whether you’re a first time mom, you had an epidural with your first, but you really want to go without one this time Or you’ve had a C-section, and you would love to have a natural vaginal delivery. Take this natural birth online class today and in less than 3 hours you’ll be on your way to experiencing the natural birth you have always wanted! You’ll learn things like, how to prep your body for labor, what happens when your water breaks, labor positions and so much more! More importantly you are going to get excited to give birth! P.S. Use CODE “ROSEMELY” for 10%off! You may not have thought about your household cleaning items being unsafe for you and your baby. But most cleaning products are actually unsafe to use while pregnant. Here’s a very detailed guide on safe cleaning products to use while you’re pregnant! 6 must have maternity clothing essentials affordable and cute! Why didn’t I think of this when I was pregnant!? Lucky for you, you can totally book yourself a much needed maternity massage. Just think about it? An hour in half or so of uninterrupted amazing massage session to soothe your pregnant body aches? Yes, You should totally do it! 10 first trimester must have for moms to survive it! I know this might sound crazy, but hear me out on this one. I have read so many great reviews on having a gym ball while pregnant, that I thought it might be super useful for you to know about it! According to BabyCentre.co.uk “ Exercising on a birthing ball in pregnancy can help to reduce any back pain you are experiencing. It can also help ease labour pain, reduce the pain of contractions, decrease anxiety and shorten the first stage of labour.” I think this gym ball or birthing ball is one you should consider! All of these pregnancy must haves I wished I had when I was pregnant with my children! I believe in order to have the best pregnancy and birth experience you need to be informed. Soak in all of the useful information from prenatal classes, to natural birthing classes to breastfeeding classes. You can take them all online from the comfort of your home! Which ones are you excited about? Is is the pregnancy journals, the birthing ball, the baby prep workbook? Or maybe you’re excited about finally taking an online prenatal and breastfeeding class? Are you intrigued and excited about having a natural birth? This article has it all! It’s amazing how much a good pair of maternity jeans can improve your pregnancy! And I also borrowed a friend’s birthing ball with my last baby and LOVED IT those last few weeks of pregnancy! Yes! Loved my 3 pairs of maternity Jeans, wouldn’t stop wearing them.lol. That’s so awesome that you used a birthing ball and it helped you! Good to know, I wish I had one with my twin pregnancy!